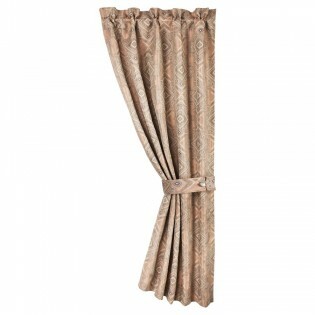 This single panel curtain makes a great addition to your Sedona room. A beautiful gathered header above the rod-pocket provides easy and stylish hanging. 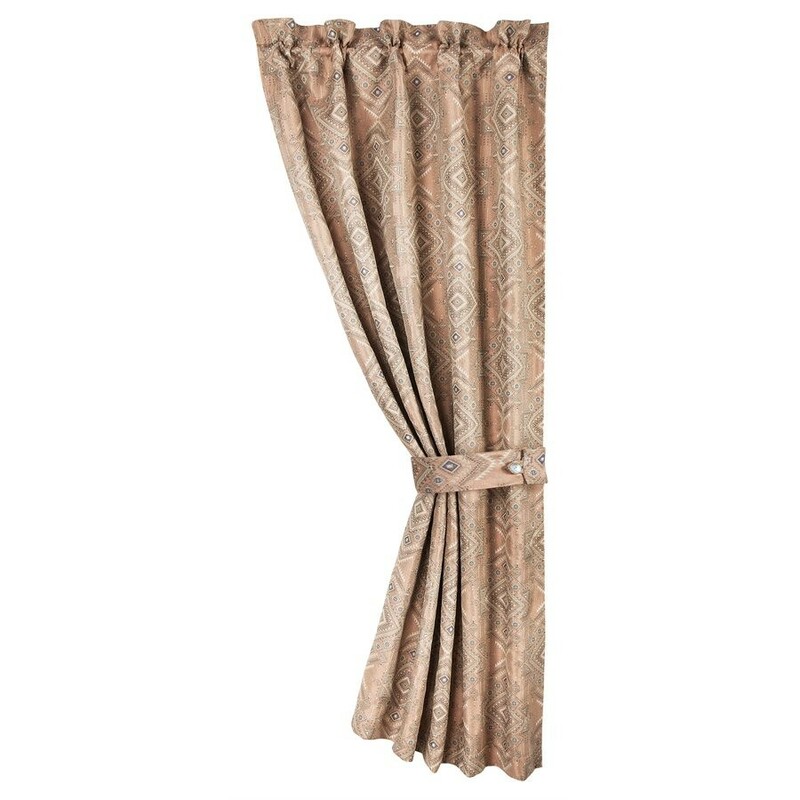 This single panel curtain makes a great addition to your Sedona room. A beautiful gathered header above the rod-pocket provides easy and stylish hanging. Package includes a coordinating tie back with button detail. Curtain panel measures 48" X 84". You're reviewing: Sedona Curtain, 48" x 84"